Buglossoides arvensis (L.) I. M. Johnst. Lithospermum arvense of Michigan Flora. Introduced from Eurasia and collected in Michigan as early as 1844 (Macomb Co.). 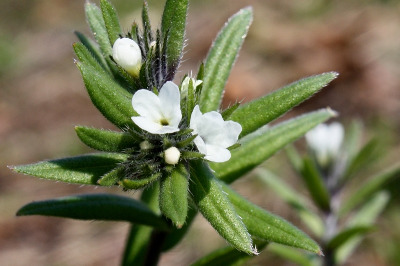 Usually in dry, sandy, disturbed ground, especially fields (cultivated or weedy), roadsides, and railroads. MICHIGAN FLORA ONLINE. A. A. Reznicek, E. G. Voss, & B. S. Walters. February 2011. University of Michigan. Web. 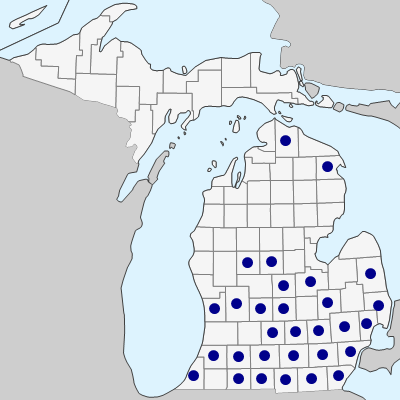 April 19, 2019. https://michiganflora.net/species.aspx?id=566.